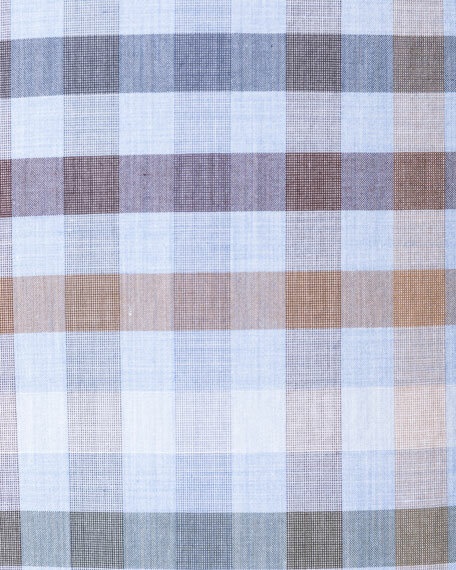 Rodd & Gunn "Rothesay" sport shirt in plaid. Sports fit: cut slim across chest and shoulder for modern look. 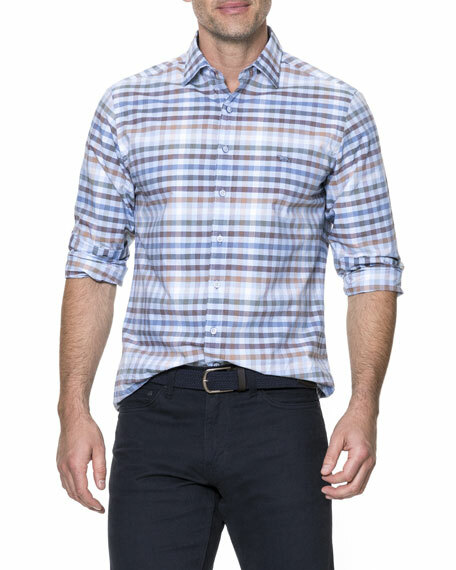 John Varvatos Star USA shirt reverses from light plaid to dark. Spread collar; button front. Rounded barrel cuffs. Shirttail hem. 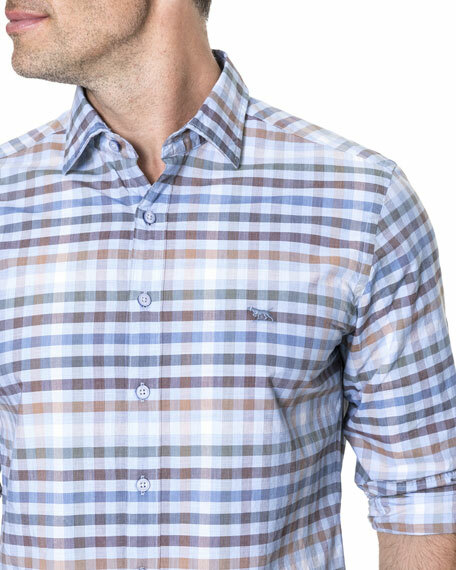 John Varvatos Star USA shirt reverses from light plaid to dark. Spread collar; button front. Rounded barrel cuffs. Shirttail hem. Cotton. Imported. 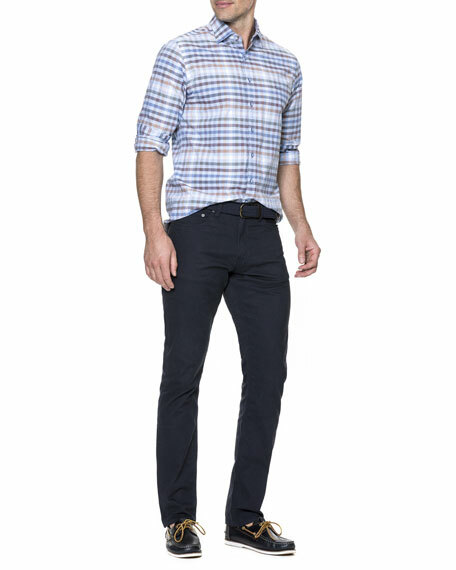 Model's measurements: Height 6'1"/185cm, waist 32"/81cm, typically wears size M.
John Varvatos Star USA double weave plaid check sport shirt in reversible design. Lightweight, reversible button front. Spread collar; button front. Chest patch pocket. Barrel cuffs. Shirttail hem. Cotton. Imported. Model's measurements: Height 6'1"/185cm, waist 32"/81cm, typically wears size M.
Mediterranea sport shirt in large washed plaid. Spread collar; button front. Rounded barrel cuffs. Shirttail hem. Cotton. Imported. Model's measurements: Height, 6'2"/188cm, Suit 38R, Shirt 15.5x34, Waist 32"/81cm, Inseam 32"/81cm.